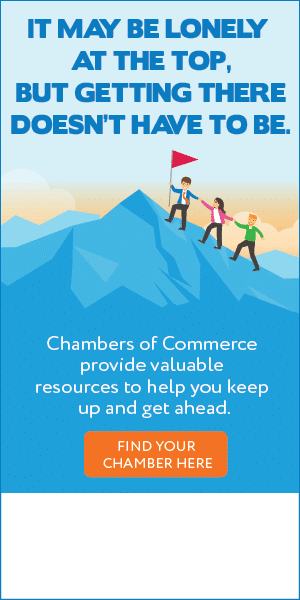 The Vermont Association of Chamber of Commerce Executives (VACCE) is pleased to provide the following marketing communications tools to help you recruit and retain members. To download any of these sales and marketing materials, simply click on the asset you want to access. 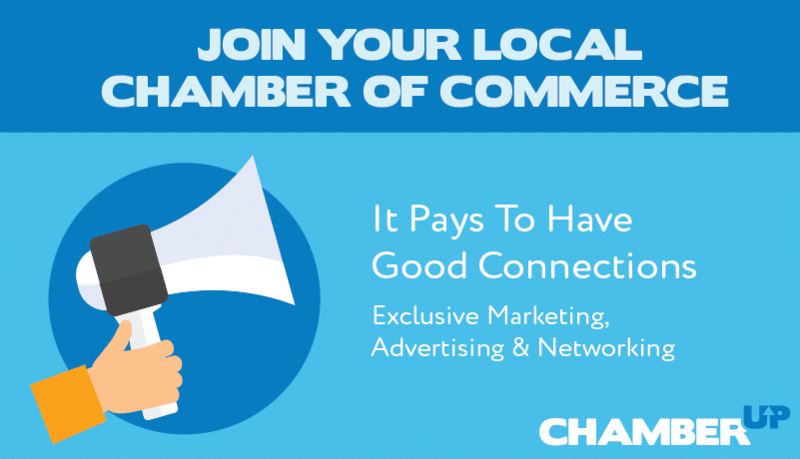 The logos and email signature below help reinforce the overall Chamber Up messaging, and the logo usage style sheet is for your reference. The ads below are designed for you to add your name/logo, contact particulars and call-to-action in the white area, either along the bottom or on the far right. These ads can be modified to fit a range of sizes, using Adobe® Illutstrator ® or Photoshop®. 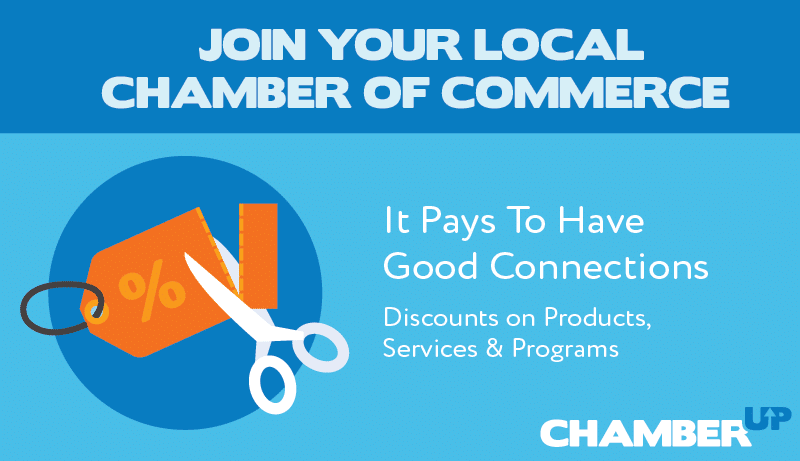 ChamberUP Print Ad 5" by 6"
The graphic files below communicate the benefits of membership, and are post-ready for Facebook, Twitter, LinkedIn, etc. 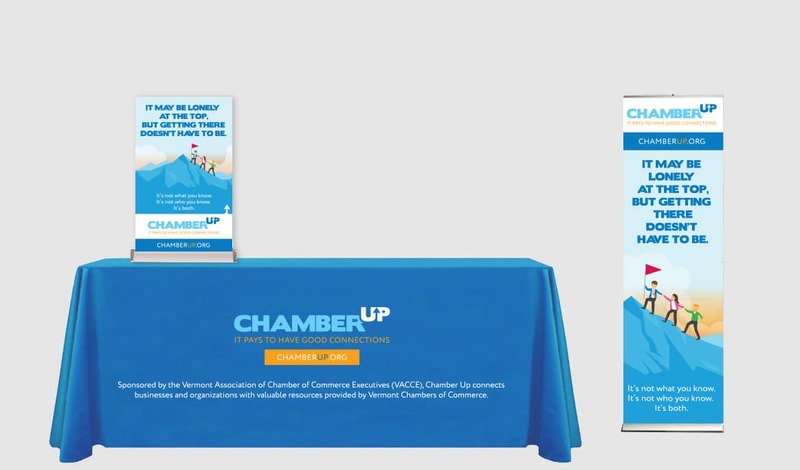 The “Chamber Up” themed materials below are ideal for communicating clear messaging at conferences, events, meetings, trade shows, etc, and are available (free) for loan from VACCE. 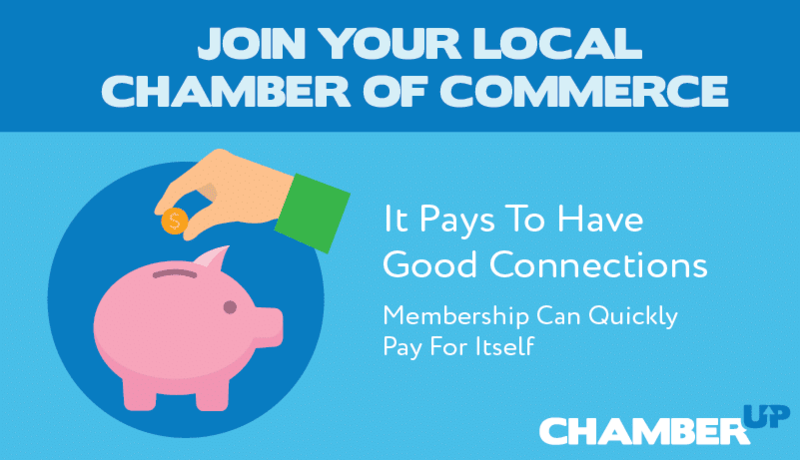 The short animated “reasons why” video below is a great way to promote the benefits of membership, and is ideal for posting and sharing on social media, adding to your website, and playing at conferences, events, meetings, trade shows, etc. The below letters are for you to reference, edit, and use at will. 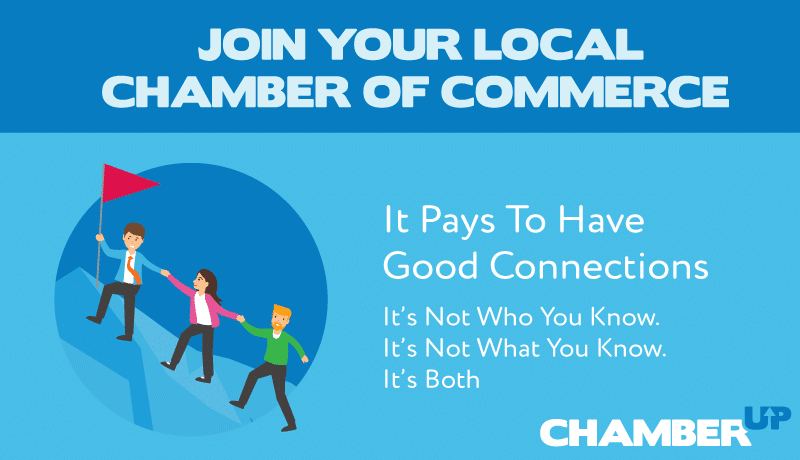 The below elevator speech is for you to reference and use in situations where you have about 30 seconds to pitch the benefits of Chamber membership. The talking points are a handy recap of things to say and write when recruiting members.